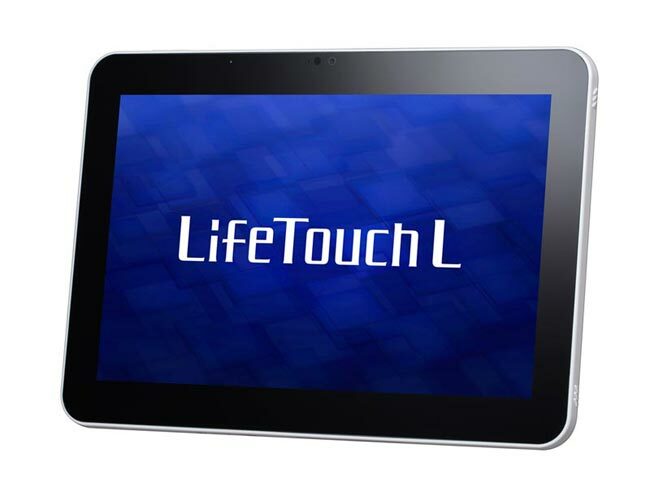 NEC Has announced two new Android tablets called the NEC LifeTouch L, both devices are very similar in specifications although one is designed for consumers whilst the other is designed for business users. The NEC LifeTouch L comes with a 10.1 inch touchscreen display with a resolution of 1280 x 800 pixels, and processing is provided by a dual core 1.5GHz processor. The business version of the LifeTouch L will come with 16GB of built in storage, whilst the consumer version will come with a choice of 16GB or 32GB of built in storage. Both tablets will come with Android 4.0 Ice Cream Sandwich, plus a 7,400 mAh battery which will give you up to 13 hours of web browsing and around 10 hours of video, plus WiFi, there are no details on pricing as yet.